Woodlands Hospice’s popular ‘Tree of Life’ was recently expanded to a second wall in our reception area. This was due to the overwhelming response from patients, families and supporters wanting to contribute and add their own engraved leaves in memory of loved ones or to recognise their fundraising efforts. 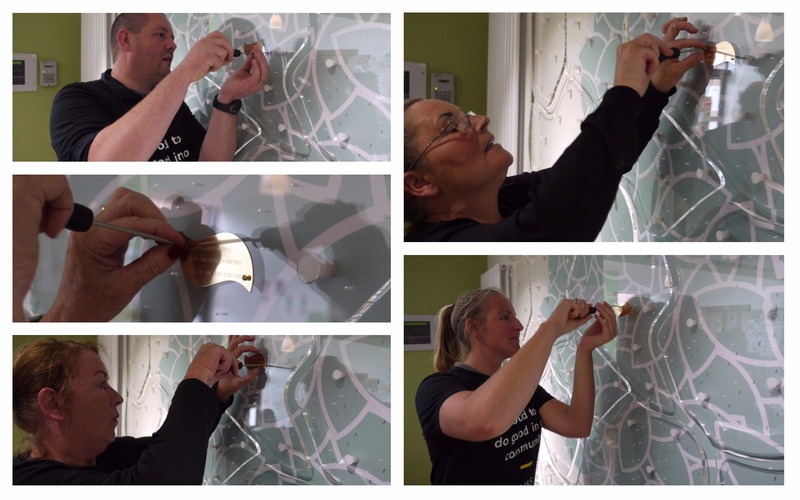 It didn’t take long for it to receive its very first leaf, as employees from Marks and Spencer in Aintree proudly placed their engraved message on the wall, following their fantastic fundraising efforts last year. Woodlands Hospice featured as the store’s charity of the year for 2016/17, raising a fantastic £21,000 for the Hospice. The Marks and Spencer staff each took turns in securing the leaf to their chosen spot on the new Tree of Life, following a hard days’ work volunteering in the Hospice’s gardens in preparation for our Volunteers party (full story here). Woodlands Hospice ‘Tree of Life’ was initially introduced in 1998, to give recognition for people’s fundraising efforts and donations including donations in memory of loved ones, by dedicating ‘leaves’ to individuals or groups. As our services grew and we gained more support from the public and community, we introduced a minimum of £1,000 raised or donated in any one year to have a brass leaf engraved and placed on the Tree. 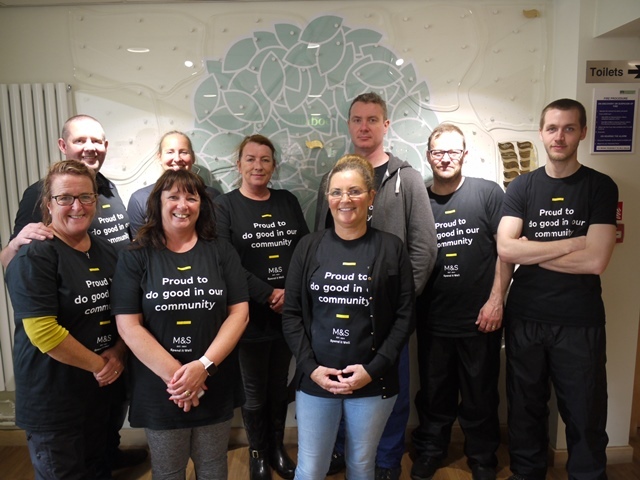 The M&S store staff have also pledged a second leaf for the Tree of Life in memory of a former colleague and returned to the Hospice this week with the colleague’s family to place the leaf in her memory on to the Tree. The continuous growth of ‘leaves’ on our Tree of Life, each with their own special message, reflects its popularity and it has become a source of comfort to so many people who often visit Woodlands to see the leaves. If you are interested in finding out more about contributing to our Tree of Life, you can contact our Individual Giving Manager, Carole Riley on 0151 529 4143 or click here for further details.